Centuries of history and suggestive settings transport us back in time to the Middle Ages as we explore two of Italy’s most handsome medieval townships, Finalborgo and Noli. We leave the port by coach, in the company of our tour rep, and make our way to the first stop on our journey, Finalborgo, which is considered one of the most attractive townships in the whole of Italy. The settlement is undoubtedly medieval in origin, although recent research suggests that it was founded several centuries earlier than was previously believed. As we stroll through the streets of the old town, the imposing defensive mass of Castel San Giovanni and other notable monuments such as the Basilica of San Biagio, the Convent of Santa Caterina and numerous Renaissance palazzi conjure an almost palpable sense of history. 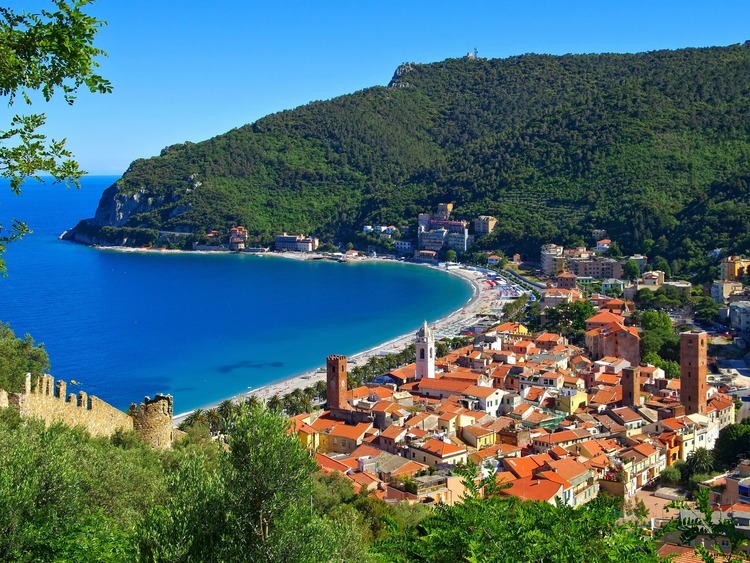 We leave Finalborgo for another of the Italian Riviera’s Medieval gems: the town of Noli. This gracious little settlement was home to skilled merchants and courageous navigators who saw it become an independent maritime republic. We explore the historic centre on foot, admiring the buildings that recount this fascinating history. There are the Torre del Canto and the Torre del Comune, two of the “seventy-two towers of Noli”, of which but a few remain. Then there are the surviving sections of the defensive walls that once formed an impenetrable barrier around the city, and the 12th-century Cathedral of San Paragorio, one of the emblematic examples of Romanesque architecture in Liguria.